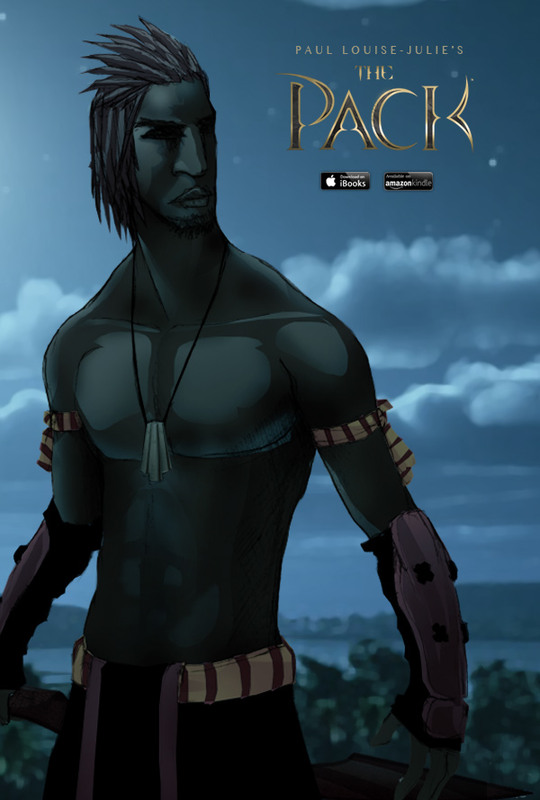 I have just discovered The Pack - an African Mythology Graphic Novel created, written and drawn by American-born, French-Caribbean artist and designer Paul Louise-Julie. According to Okayafrica, the series has five seasons, broken down by region (North, East, West, South, Central), with each season comprised of about five sagas focusing on a particular kingdom or realm. 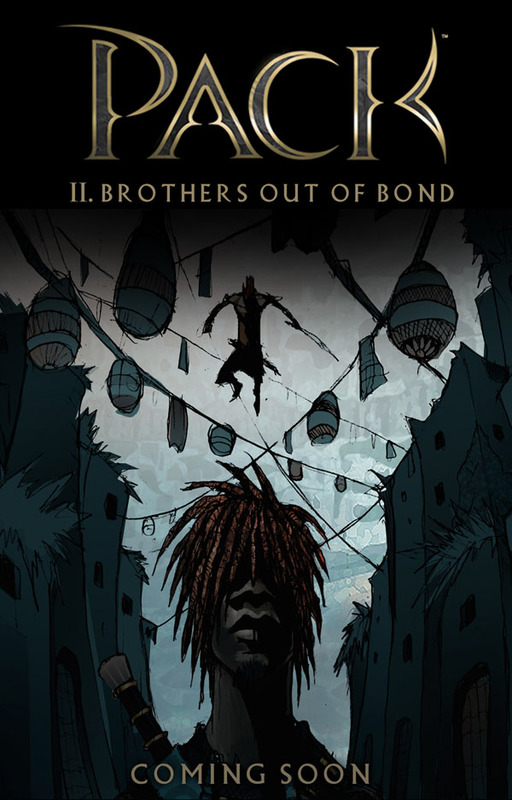 Issue 1 (A Wolf in Egypt) was published in March and Issue 2 (Brothers Out of Bond) in July. Wait, What?!! This has been out since March!!! Why am I only just finding out about this? I blame my self-imposed hibernation,because this has me written ALL over it - mythology, ancient civilisations, werewolves, gorgeous illustrations!!! Seriously, can't contain my excitement. What Louise-Julie did next was pretty awesome. 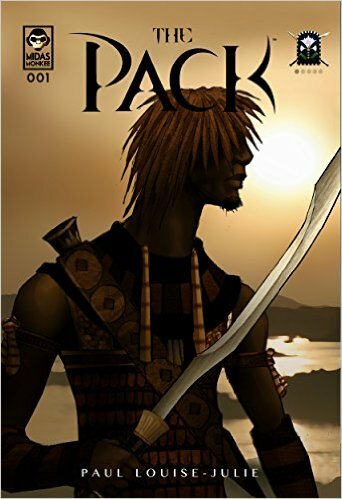 Going back to the continent, he 'discovered the remnants of Ancient Empires that even locals had forgotten', met a Wolof man - Moktar - who took him 'to a secluded part of the city [where] and old man seated on a rug' who told him 'the history of the entire region spanning back centuries.Tales of knights, and Realms, kings and heroes, demons and spirits'. And then for the next 5 years 'studied everything from ethnolinguistic blood groups, to Ancient African history, art and ruins'. 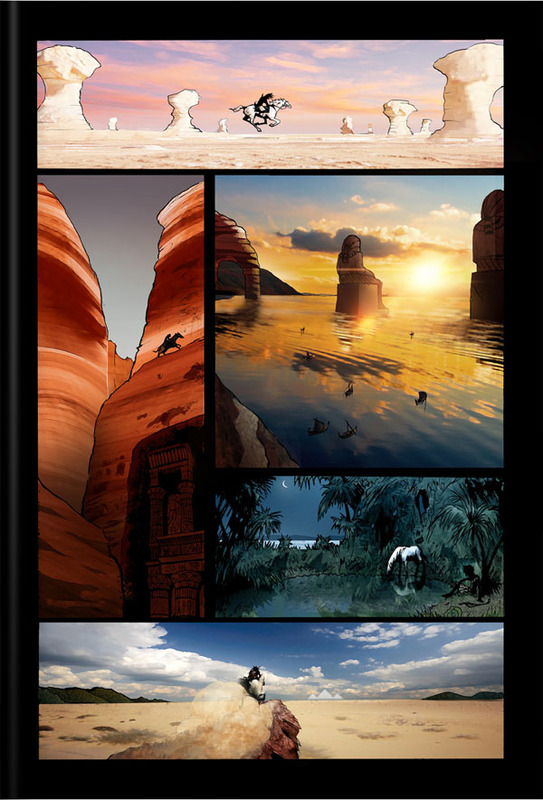 Read the rest of The Packs origin story and how Louise-Julie 'designed over 30 different civilisations' on Bleeding Cool. 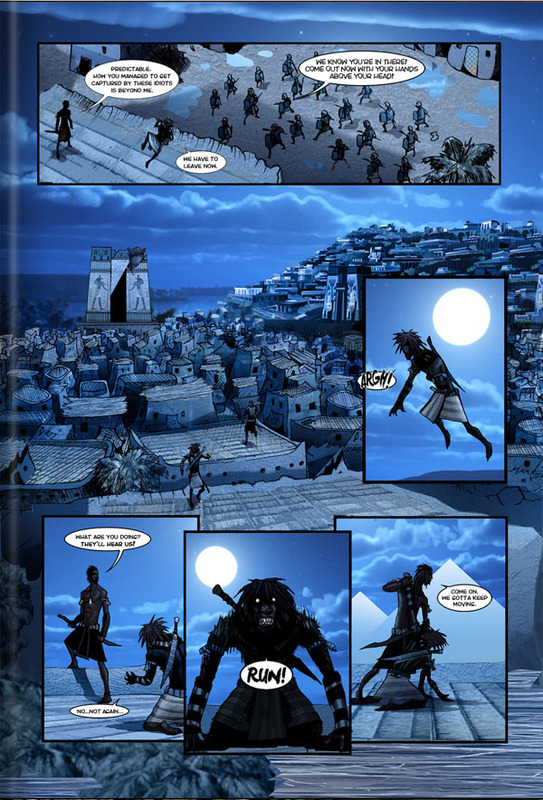 Also, in April, Okayafrica spoke with Paul Louise-Jean who revealed more about the series, and it sounds oh so amazing. After the Egypt Saga, there's 'the Nubian Saga ... Sokoto Saga followed by the Tuareg and Marakash Saga. That ends 'Season 1: The North'. 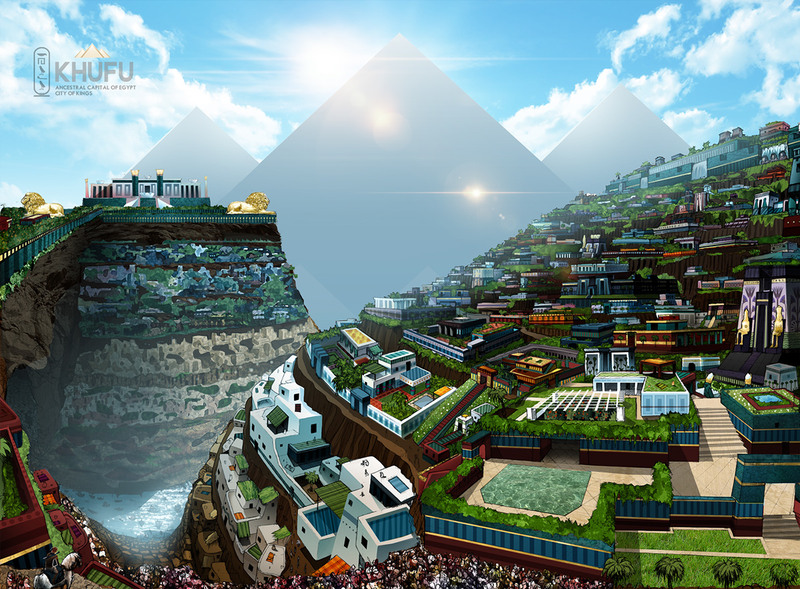 Season 1 will be set on the Western part of the continent. 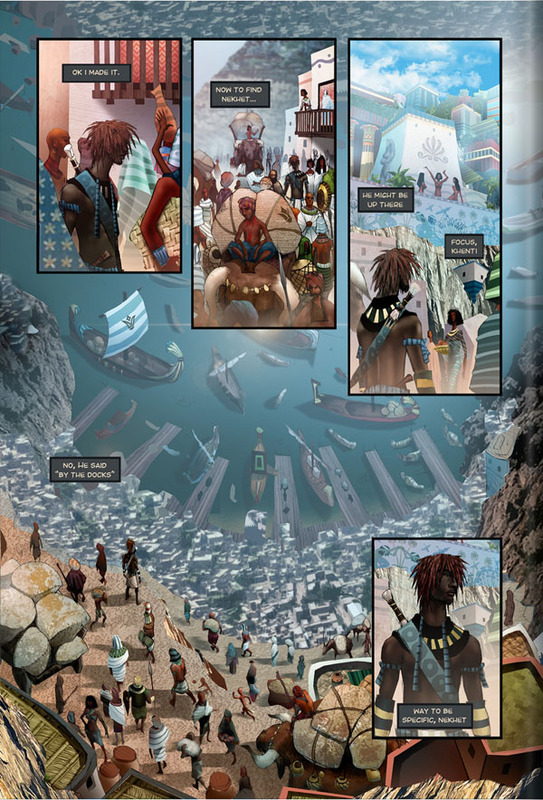 In between saga, numerous chapters will also be released, including 'History of the Akanti', 'History of the Dwarves', 'Tale of Queen Candace of Nubia', 'The Dragon Slayer' and more. Seriously amazing!!! GORGEOUS!!!! Well, I'm off to tuck into the first 2 issues. Wishing everyone a lovely bank holiday weekend. Hopefully it's dry.